just stayed at camping f1 site, never again!Site is not sign-posted from E25 so drove around for two hours trying to find it. on arrival we found a sloping field with tents erected and long wet grass which they hadn't considered cutting. First morning, Friday, no water at all so no showers or toilets. The site seems to be run by students who haven't got a clue what's going on, when we asked what was going on we were told that a lot of people had used the showers and they had run out of water! I asked if they were not expecting us and they just said there was nothing they could do, and walked off shrugging their shoulders.They give you a wrist band which no-one ever asks to see, in fact there's no security at all. for the rest of the weekend the toilets were an absolute disgrace and remained uncleaned for the whole weekend. We paid a lot of money for the weekend being seven in our group. The nightly entertainment seemed to rely on volume above all else. The food was shockingly bad and at times they ran out of food, beer and change.The transport to the track was badly organised and most people took their own cars for Friday practice as they only had a mini-bus but said they were trying to get a coach from Liege.To say this was an amateur set-up would be unfair to amateurs. 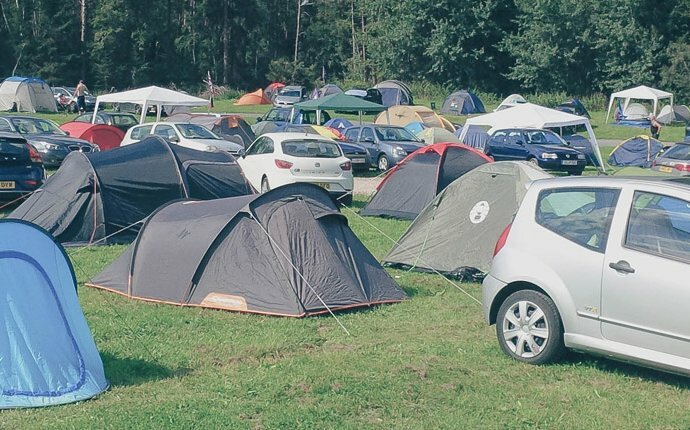 next year we will stay at a proper site or in one of the car-parks.I guess if you want all night partying and a site covered in slicks of vomit, this is the place for you but if youare a race fan i cannot advise you strongly enough to stay away from this shocking place.